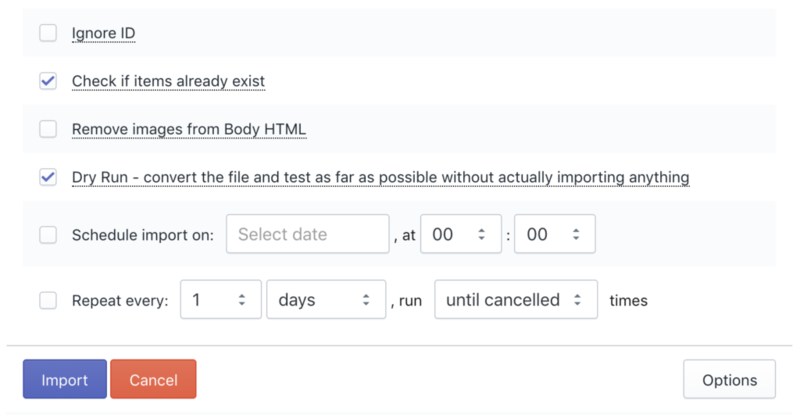 Now, when you run the “Dry Run” it will check more things about the file you import. It will go with importing as far as possible, but not send any data to Shopify. You can select the “Dry Run” checkbox after you have uploaded the file and it has been analyzed.